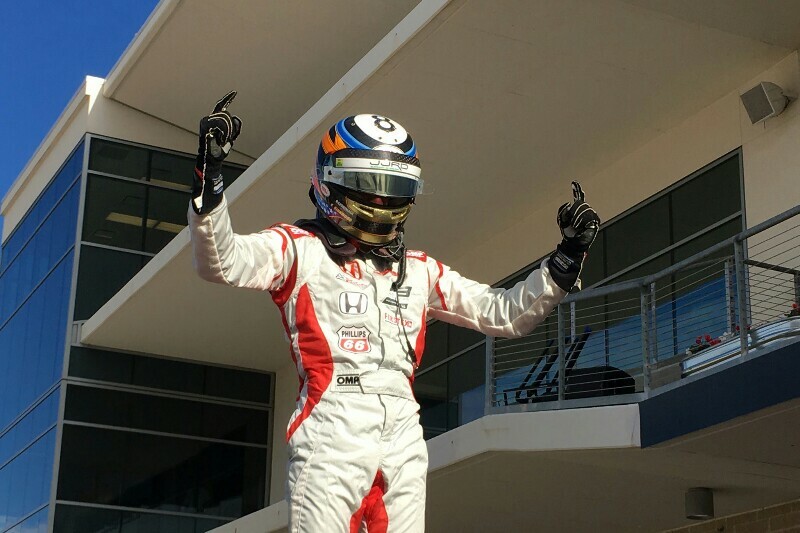 Kyle Kirkwood ended the inaugural Formula 3 Americas season with two wins on the undercard of the United States Grand Prix. The Abel Motorsports driver didn’t have it too easy at the Circuit of the Americas, with Global Racing Group’s Benjamin Pedersen keeping him on his toes in both races. Pedersen’s team-mate Baltazar Leguizamon initially finished third in race one, but was then penalised for track limits offences and dropped behind Parker Locke and John Paul Southern Jr.
Leguizamon didn’t even make the start of race two, as Pedersen took the challenge to Kirkwood once again. The long back straight at COTA helped Pedersen, and they went wheel-to-wheel on several occasions. Kirkwood picked up front wing damage during one of their battles, and during the final lap they made contact again. As they reached the chequered flag they were separated by just a quarter of a second. Locke beat Jacob Abel to the final podium place. Dakota Dickerson and Chrsitian Rasmussen won the two United States Formula 4 races, which were full of drama. Champion Dickerson won race one, just holding off season-long rivals Rasmussen and James Raven. Race two started with three retirements, and Jack William Miller landing on Chandler Horton’s head. Four laps later Dickerson was also out of the race, and it was left to Rasmussen and Joshua Car to fight for victory. Rasmussen won the battle, with the retirement of Benjamin Pedersen promoting Car to fourth in the standings.